SeaPig is converter from markdown to html with marked.js and highlight.js. SeaPig has two panes. Left pane is editor. Right pane is HTML previewer. When you input new line, SeaPig refresh HTML preview. SeaPig has tool bar contains one drop down list and eight buttons. Eight buttons has feature below. Open markdown file to editor. Save markdown file from editor. 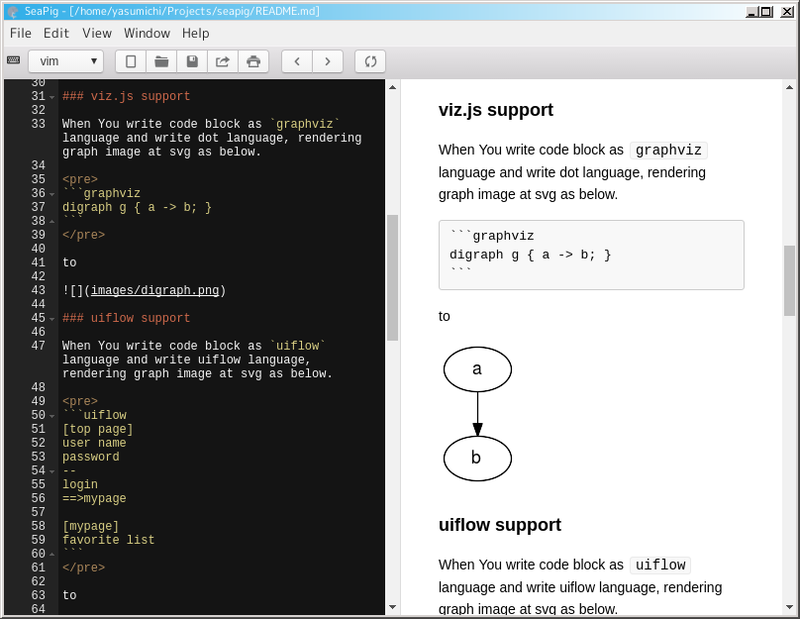 When You write code block as graphviz language and write dot language, rendering graph image at svg as below. 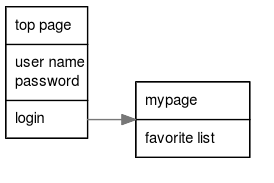 When You write code block as uiflow language and write uiflow language, rendering graph image at svg as below. When You write code block as mermaid language and write mermaid language, rendering graph image at svg as below.